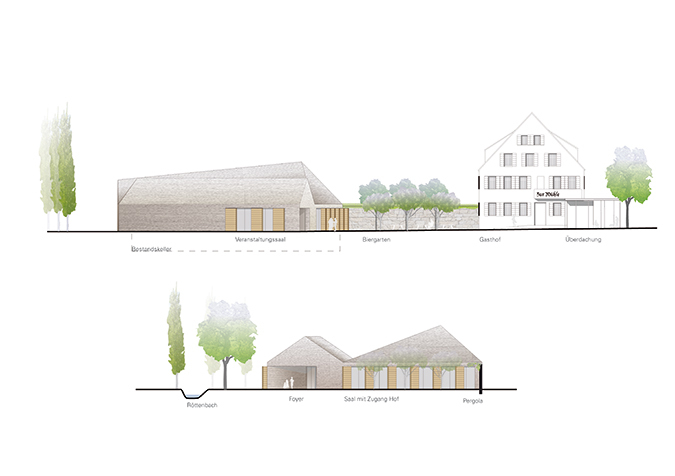 The compact ensemble of the churchyard of St. Maria, with presbytery and parish barn, builds the urban reference for the creation of the new town centre. 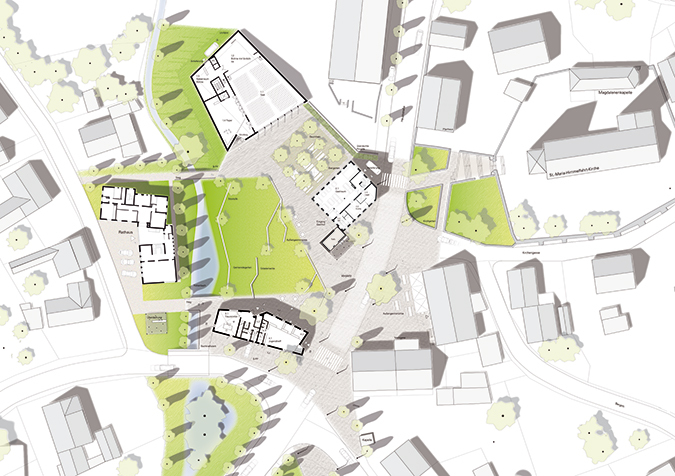 With the monument renovation of the mill building, a new central "heart" was created. 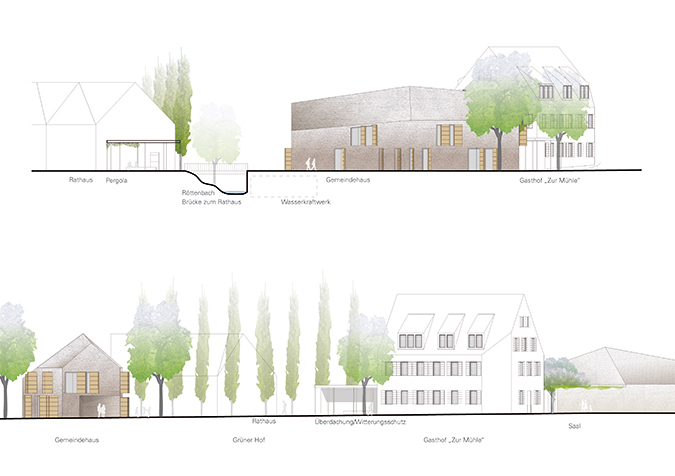 New and old uses are arranged around the new city center: Mill - event hall - city hall and the new community house now form the core of the municipality. 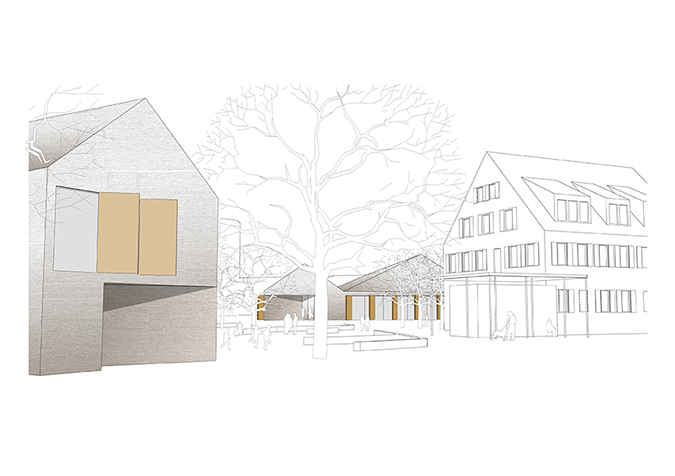 A new spatial vessel, created by placing new building elements, is centered around the new “green center“, with its unique and multifaceted space sequences and entanglements into town. 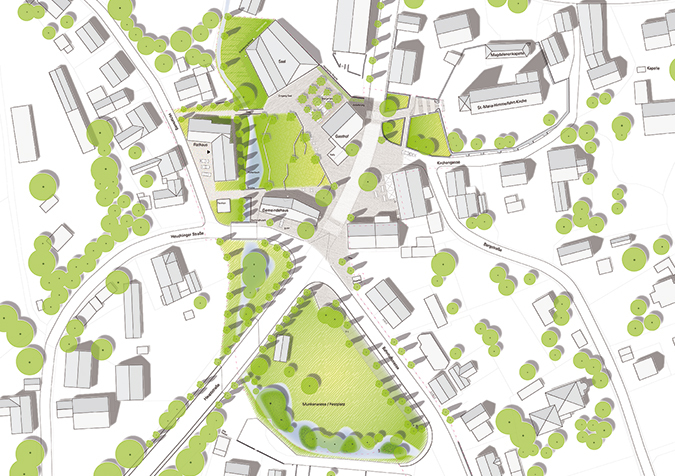 The “green center“ opens itself up to the cleared Röttenbach. Long benches invite the different visitors to experience the positive quality of the water near place. The "city block Mühlgebäude" plays a major role as the connecting building between old and new. 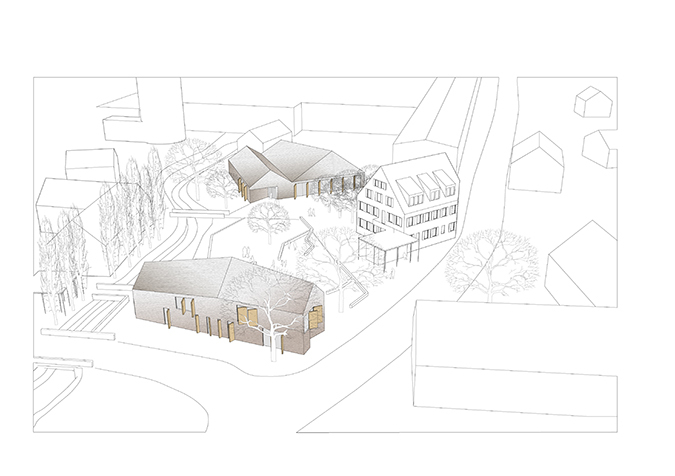 An to all facing building complex consisting of guest house, event hall, youth club, town hall and church is formed. The open space between the building blocks is marked by an consistent pavement. The new center can now be recognized as such and experienced by its users.